 GSS owns the Harris/Schriber and Didde web offset presses and products. Therefore, GSS can offer our customers a variety of narrow web offset presses for the business forms, direct mail and commercial printers. Due to the declining demand for web offset presses, there are only a few companies in the world that still manufacture this type of press. Every one of our web offset presses we quote is custom configured to meet the particular needs of the customer. The presses can be configured with up to ten print towers and a variety of finishing options such as: numbering, punching, perforating, die cutting, plow or fan folded, sheeted, or rewind into a 50” diameter roll. If new equipment isn’t in your budget, GSS can assist you in finding used equipment. We can perform field inspections, repairs or complete remanufacture to original specifications. Whether new or used, our goal is to please our customers by providing quality equipment and full-service support designed to maximum their productivity. Carrying forward the Schriber and Didde name, we are dedicated to industry leadership through technological innovation and manufacturing superiority.